A young man that has the command and feel of a finesse pitcher, and the arsenal of a big league ace, Holmes has become one of the most consistent performing pitching prospects in the country. Armed with a 93-97 mph fastball and a knockout curveball, Holmes carved up his competition this spring in South Carolina and took the next step as a prospect at the PG National in Minneapolis. 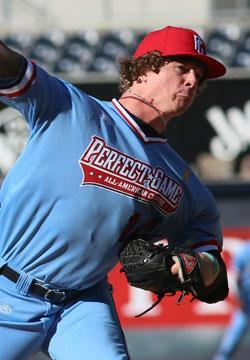 He enters the Classic drawing comparisons to another former PG All-American, Dylan Bundy.